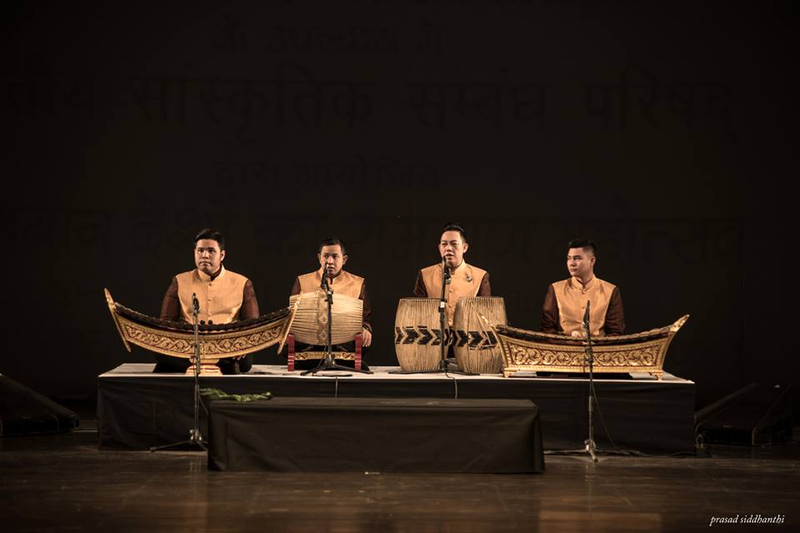 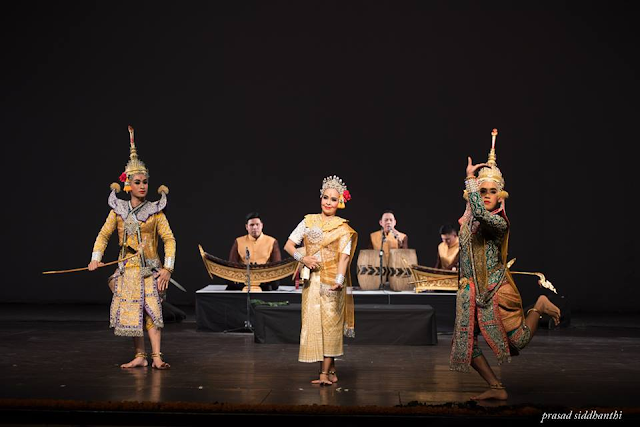 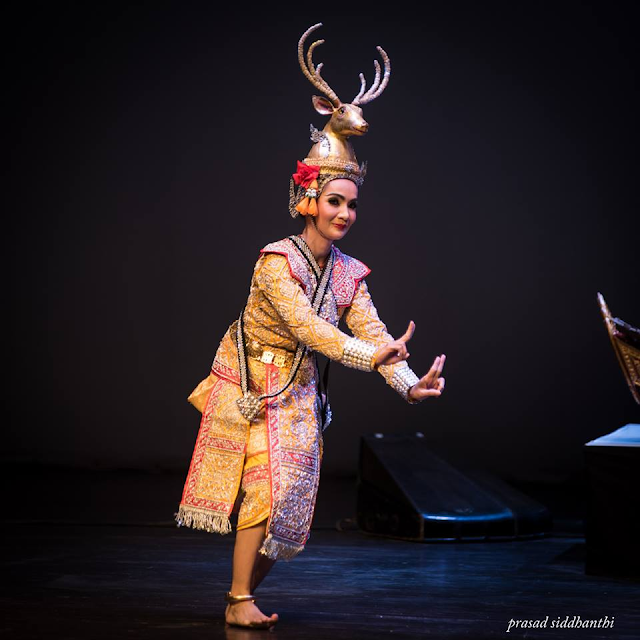 'Khon'; is a traditional performance of which dancing and acting are combined. 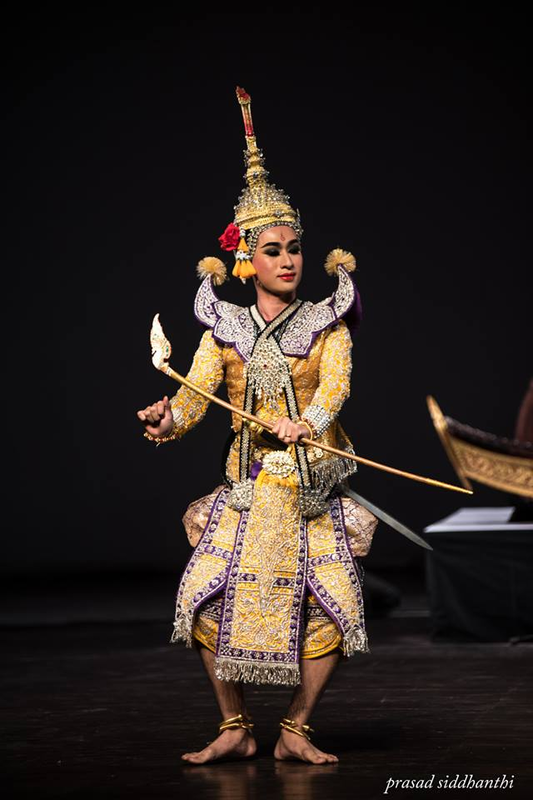 It was originally produced as a form of entertainment in the royal courts. 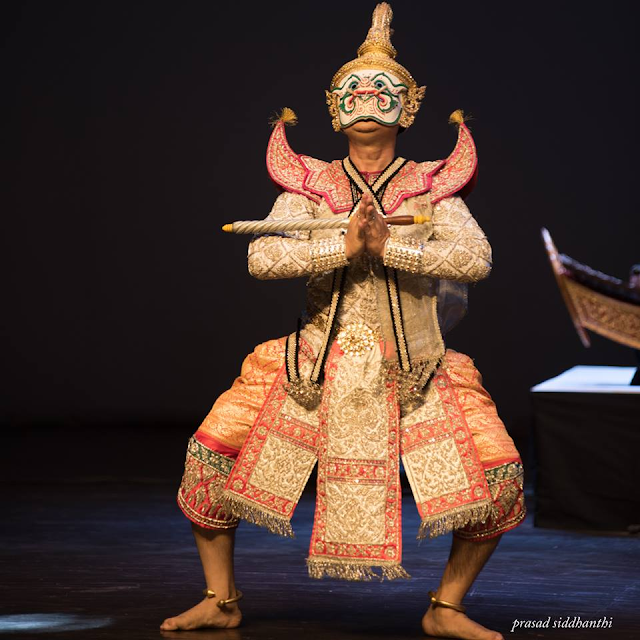 Although most aspects of the Khon dance form are similar to those of 'Lakhon '(acting), Khon distinguishes itself from other forms of performances by the elaborate masks worn by leading performers, except for human and divine characters, who instead wear headdresses to indicate their ranks. The masks indicate the characters' personalities and titles - be they simians, demons, garudhas or other great mystical beasts. 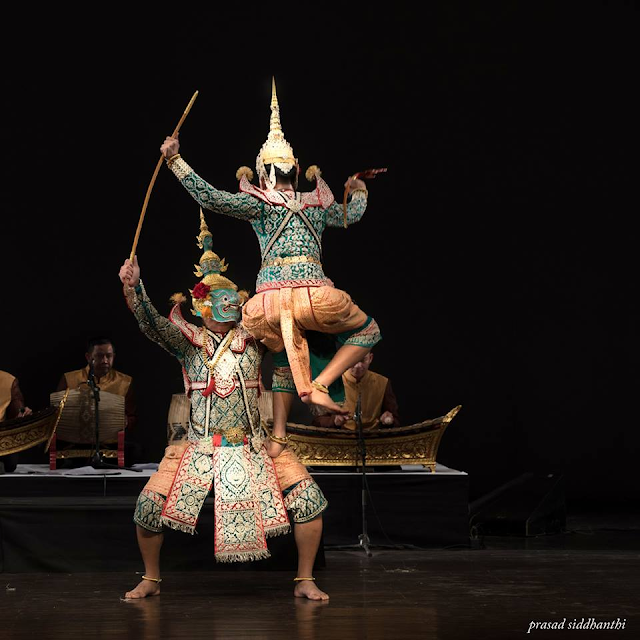 Highly influenced by the art of traditional Thai sword and baton fighting, known in Thai as "krabi krabong", stylized acrobatic elements are commonly found. 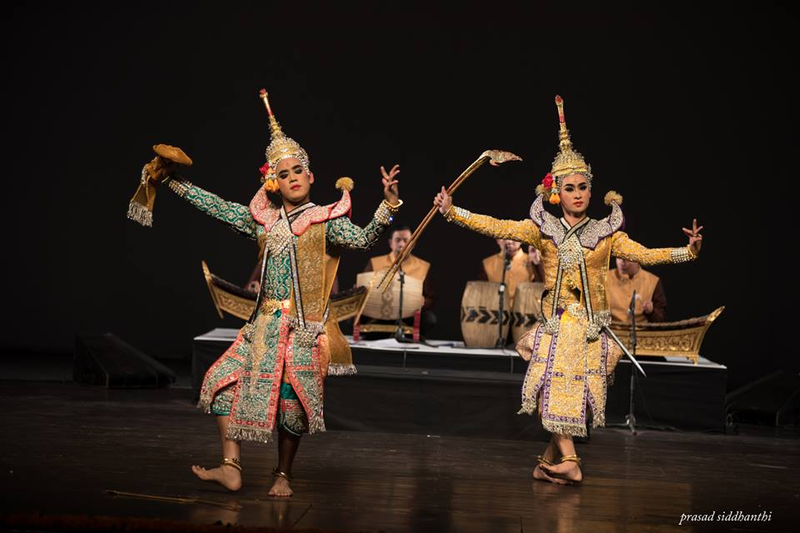 Yet, Khon dance still maintains a soft rhythm and willowy grace that is characteristic in all styles of traditional Thai dance. 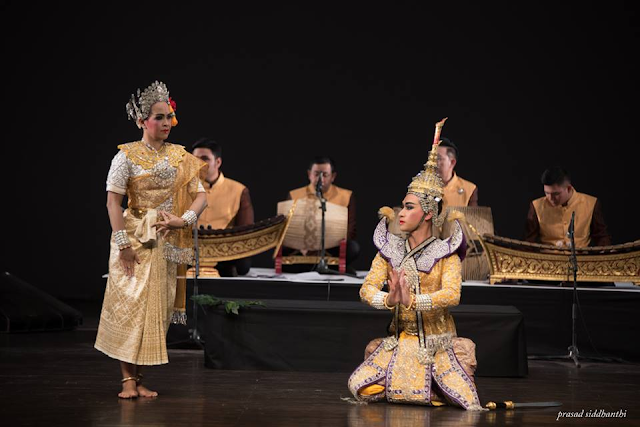 Khon draws most of its story and characters from the Ramayana Epic, which can be dated back to as early as the reign of King Ramkamhaeng of the Sukhothai period (1279-1317). By the Ayutthaya period (1350-1767), Ramayana was already a well-established literary tradition in Thailand. 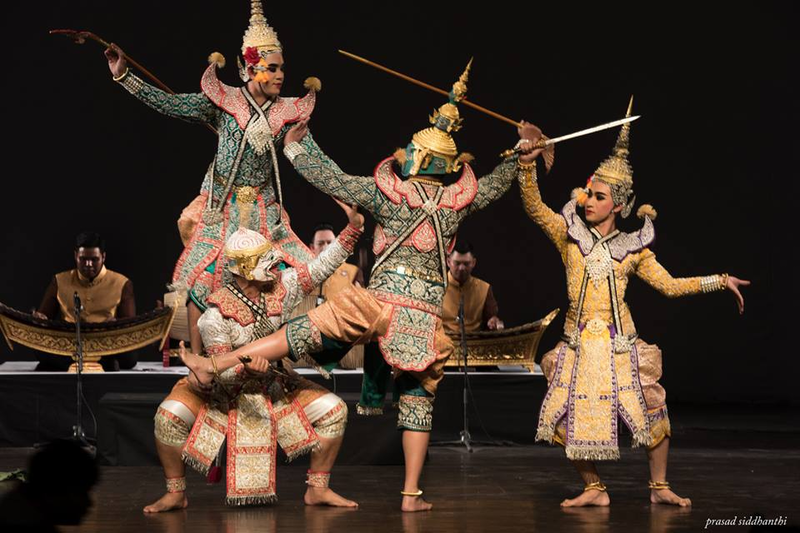 It was also renamed as 'Ramakien'; – which means 'the glory of Rama' in Thai.